Registration Deadline: March 1, 2018 - Let Lifelong Learning know you're interested. We'll start in Calgary, Alberta, Canada with a tour of the city’s highlights. 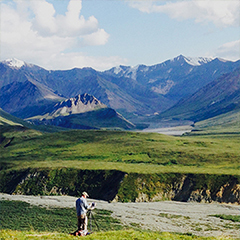 Each day of the trip will include opportunities for the group to stop and paint the landscapes, with instruction from Duncan Martin, Professor of Studio Art at Principia College. We will travel south along the Macleod Trail and visit Head-Smashed-In Buffalo Jump, a UNESCO World Heritage Site. 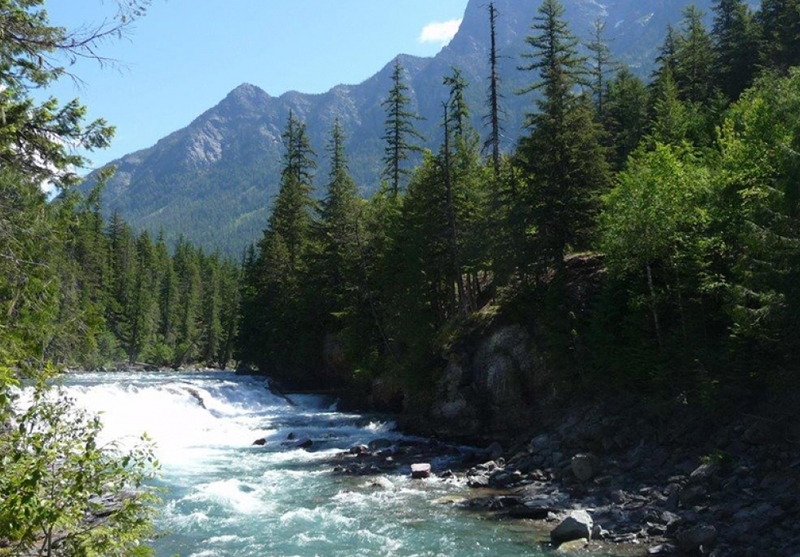 Then, we'll move on to Waterton Lakes National Park, stopping at Cameron Falls. We will enter Montana through Waterton-Glacier International Peace Park, a UNESCO World Heritage Site, and behold the awesome snowcapped peaks of Glacier National Park. Boarding the famous, vintage, red “Jammer Buses,” we will travel along one of North America’s most spectacular highways: Going-to-the-Sun Road. After crossing the 6,664-foot Logan Pass, we will enter a geographical wonderland of alpine scenery, where jagged mountain peaks, deep-green forests, pristine lakes, and serene meadows dominate the landscape. We'll then cross back over to Canada and stop in British Columbia before crossing into Alberta. We will visit the restored town of Fort Steele and drive through the steep, red cliffs of Sinclair Canyon and Kootenay National Park before entering Banff National Park, the heart of the Canadian Rockies. Next, we'll take a scenic ride on the Banff Gondola to the top of Sulphur Mountain. For our final day, we'll paint at famous Lake Louise, near Banff. Duncan Martin studied painting with Neil Welliver at the University of Pennsylvania, receiving an MFA in 1986. Subsequently, he taught art at Principia College until 1995, when he left academia to focus on painting in the southwestern United States. In 2010, Duncan returned to teaching at Principia. His paintings have been exhibited at Davis Dominguez Gallery, Tucson, Arizona; Susan Street Fine Art, Solana Beach, California; Nielsen Gallery, Boston, Massachusetts; Watson Gallery, Stonington, Maine; the Tucson International Airport Gallery, Tucson, Arizona; and the New Bedford Art Museum, New Bedford, Massachusetts. Duncan’s latest project, 58 in 58, features paintings from all the National Parks in the U.S. (58 parks when he started, 59 by the time he finished). Works from 58 in 58 were exhibited last summer in Principia College's Radford Gallery during Summer Session and College Reunion.